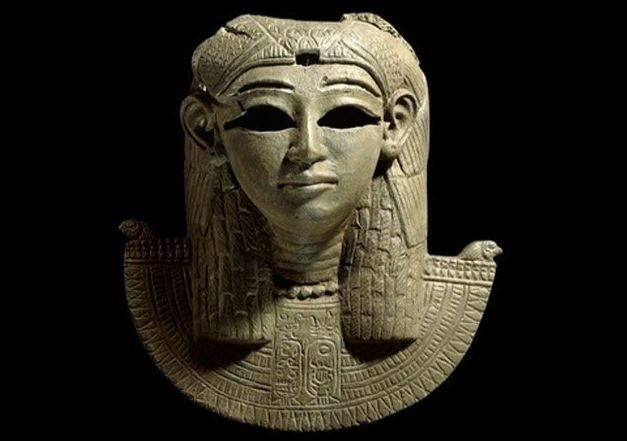 Amanirenas (also spelled Amanirena) was one of the greatest kandakes, or queen mothers, who ruled over the Meroitic Kingdom of Kush in Nubia, (a region from Southern Egypt to Northern Sudan). Amanirenas was the second of several “Qore and Kandake’s” (the title given to ruling Queens). She reigned over the kingdom between 40 BC to 10 BC. When Roman emperor Augustus levied a tax on the Kushites in 24 BC, Amanirenas and her son, Akinidad, led an army of 30,000 men to sack the Roman fort in the Egyptian city of Aswan. Under orders from Augustus, the Roman general Petronius retaliated, but met strong resistance from Amanirenas and her troops. Amanirenas was noted for leading from the front, fighting side by side with her own soldiers. Her initial campaign was hugely successful, defeating three Roman cohorts and sacking a number of Roman forts across southern Egypt. As a further insult Amanirenas had several statues of Caesar defaced or destroyed. After over three years of harsh fighting, with the Kushites being driven back by the Romans, the two parties agreed to negotiate a peace treaty but at a heavy cost to both sides. The eventual peace treaty favoured the Kushites, the Romans agreed to return their army to Egypt, withdraw their fort, give the land back to the Kushites and rescind the tax. The warrior queen, Amanirenas is remembered for her loyal combat, fighting side by side with her own soldiers. She was blinded in one eye after she was wounded by a Roman. However, the full extent of the Roman humiliation has yet to be disclosed since the Kushite account of the war, written in the Meroitic script, has not been fully decoded. Sudanese hopes to capitalize on tourism after the US lifts sanctions. A little known fact about Sudan is that, it actually has more ancient pyramids than neighboring Egypt, and it’s now hoping to attract more visitors by opening up.